Autumn is finally here! Granted, it still feels like summer in Florida. But then again, it always feels like summer in Florida. 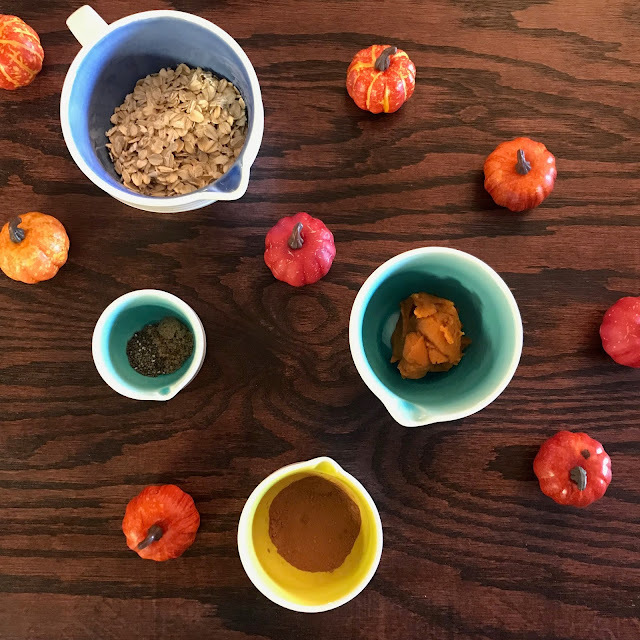 Cool weather likely won't be here for a while but at least it's now socially acceptable for me to have all my fall decor out. Not that I'm just now decorating. I've had the apartment looking like autumn/Halloween for a while now. And I've been listening to Halloween music since July. But I can't be judged for it now. 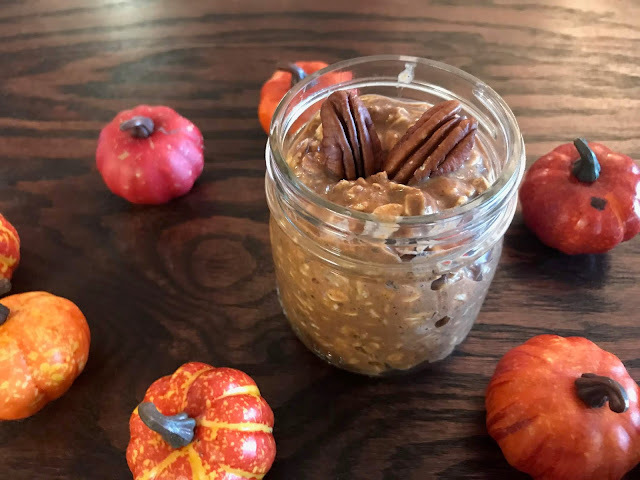 Anyway, now that fall has arrived it's time for me to share a new pumpkin overnight oats recipe with you. This time chocolate is involved. 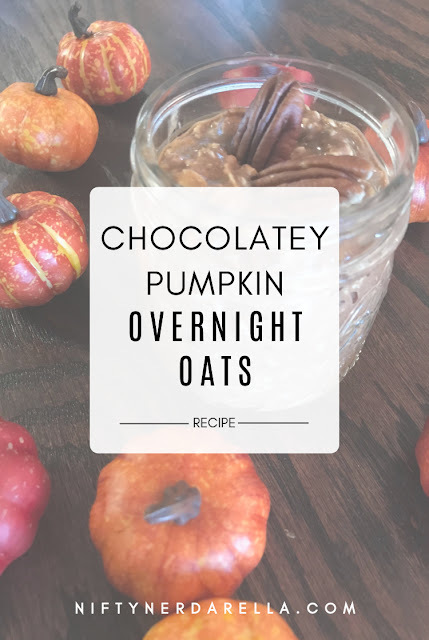 Enjoying this decadent oats mixture for breakfast will make you feel like you're cheating but it's clean and healthy so no guilt here. Enjoy this little taste of autumn. If you're in a warm climate like me, hopefully it will make you feel like it's actually fall. 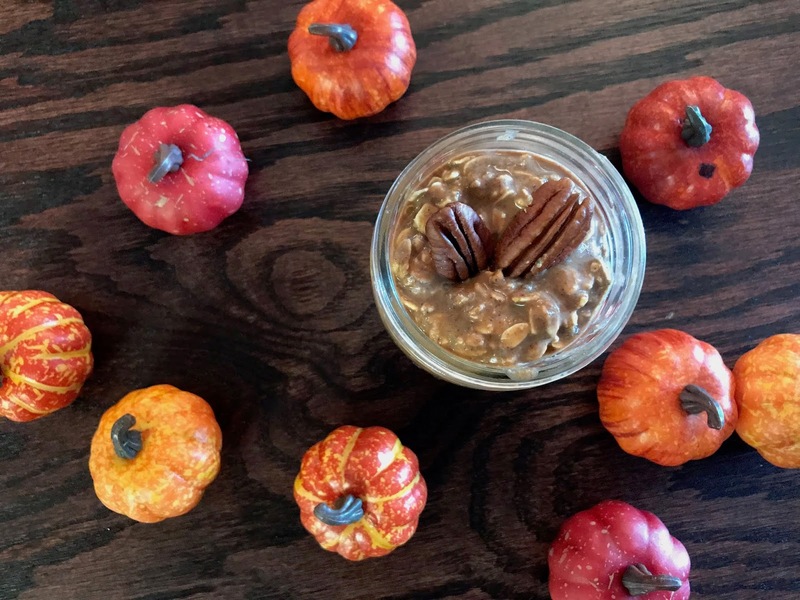 Combine all ingredients together and store in a mason jar in the fridge overnight. In the morning, top with chopped pecans, if desired.